The boys of Ranbir School requested the FB profile data of Jain School Girls. It is about the Cambridge Analytica revelations the exposure of profile data for millions of FB users. The news about the leakage of Facebook data has shocked the world and the users across the world are unhappy with this news. 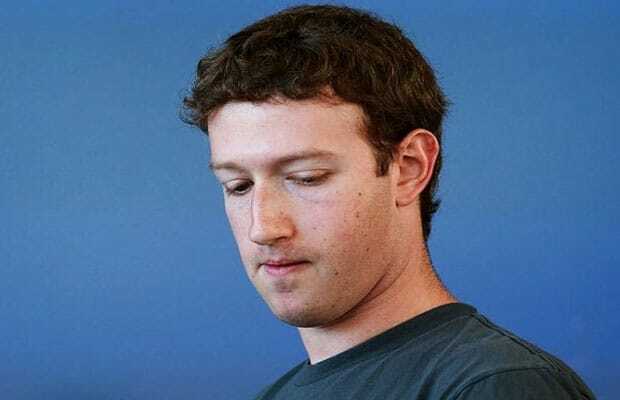 But few sections of users are using this opportunity and have requested Mark Zuckerberg to give the information about the profile data of Jain School girls from their Facebook acocunt. Mark Zuckerberg's reaction after getting request from boys of Ranbir School. When asked why he wanted to get the profile data Mayawati Sharma of Jain School, Chun Chun Sharma replied, "My surname is also Sharma and we are both studying in 12th class. I met her at Chemistry tuition and I have been trying to talk to her since the first day of the class but she never reply to me." "Our Gotra are different but surnames are same. So we are potential candidate for Husband-Wife. But Mayawati is unable to understand this simple thing. So I have requested Facebook to get the her profile data so that I am able to understand her more closely. I hope they will agree to leak her profile data like they did for Congress party in 2014," Chun Chun Sharma added. Mark Zuckerberg has not yet reacted to these kind of request from the boys of Ranbir School. Meanwhile, other guys from Simbal camp higher secondary school have also requested same kine of request to Facebook. When asked why girls of Jain School are not interested in knowing the FB profile of Ranbir School Boys, "Actually there is no need from our to know his profile. He himself keep sending me unnecessary messages on FB that what he is eating and which movie he is going to watch. So I think not only me but other girls are also don't need to request to Facebook to get the profile data of boys of Ranbir School." Disclaimer: This article is purely blend of fiction, Satire and humor. If any user/reader takes this article as the real incident then our team will reward him with special award may be with "Kaladi wala Kulcha".